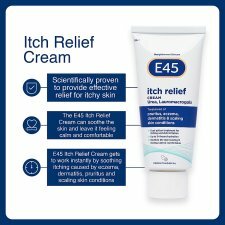 Possible Side Effects: E45 Itch Relief Cream is usually well tolerated, however side effects may occur which can include a burning sensation, redness, itching or pus. 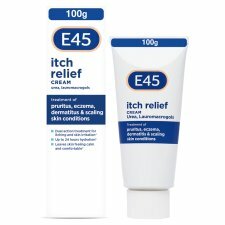 May cause irritation if applied to broken or inflamed skin. 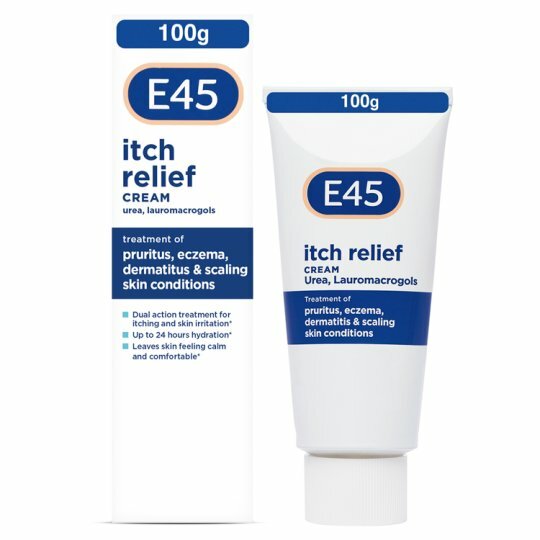 If you suspect an allergic reaction or if anything unusual happens, stop using the product. If you get any side effects, talk to your doctor, pharmacist or nurse. This includes any possible side effects not listed above. You can also report side effects directly via the Yellow Card Scheme at: "http://www.mhra.gov.uk/yellowcard". By reporting side effects, you can help provide more information on the safety of this medicine. Keep out of the sight and reach of children.